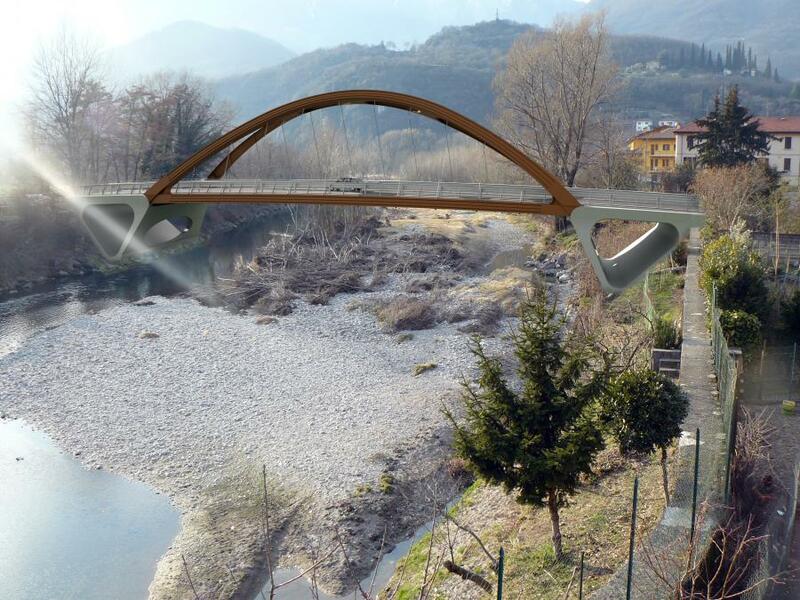 The work consists of a steel arch bridge with lower street and thrust eliminated, supported at its ends by two cantilever triangular shape shoulders, made of reinforced concrete. The two-way traffic roadway is humpback-shaped with cross slope equal to 2.5%. Each shoulder rests upon 13 foundation drilled type piles, placed directly in the river bed. 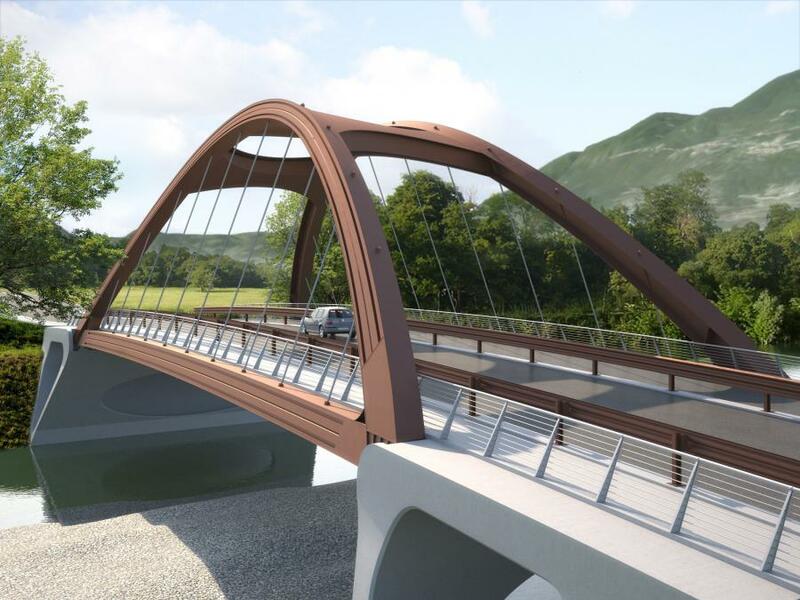 The shoulders have a cross section in triangular excavated shape: the upper side serves as a scaffold for the roadway, the slab resting on the embankment connects the two foundation plinths while the connecting rod projecting towards the river acts as a support of the arc. A tilting transition slab is realized on the back of the shoulders, with the function to compensate any embankment subsidence due to vehicle traffic.